New Delhi : Congress' Delhi unit chief Sheila Dikshit has warned the party's bosses that an alliance with Arvind Kejriwal led Aam Aadmi Party will be a loss for them in a long run. She also urged them to make an official announcement to ensure there is no confusion among the party workers. 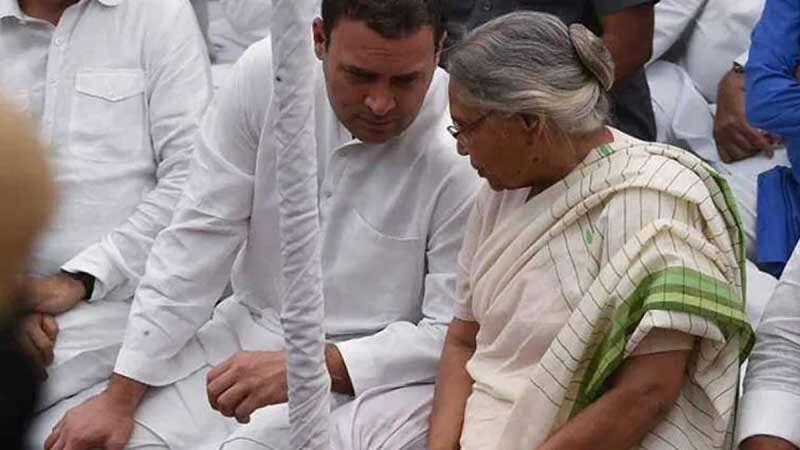 While Sheila Dikshit has strongly opposed an alliance with AAP, a senior Congress leader PC Chako has said that Delhi leaders will have to Congress' policy decision if they wish to join hands with the party. Rahul Gandhi would take a decision in a few days. "As far as I know there are senior leaders in Delhi who think that defeating BJP is party's immediate responsibility; for it we should form alliance with AAP, that's the thinking of majority of leaders," Mr Chacko told news agency ANI. He added: "The policy of our party as decided by the working committee is to go for alliances with parties opposed to the BJP. I hope Delhi leaders will also follow this policy decision of the Congress." Earlier, Aam Aadmi Party had said that the Congress has given no response on their proposal to go for an alliance in the upcoming national elections. "Senior leaders cited the recent survey by the party which showed AAP vote bank to be around 28 per cent and Congress's 22 per cent while BJP's 35 per cent and argued that an AAP-Congress alliance will sweep all the seven seats in Delhi," sources have told NDTV.